Memorial Hospital’s Respiratory Care department works closely with your physician to assist you with your cardio-respiratory needs and determine the best treatment. This department works with people of all ages, from infants to the elderly. In addition to providing quality acute care close to home that uses non-invasive technologies, our respiratory care team focuses on assessing, treating, managing, and educating outpatients through the following services. Medicare covers up to 36 sessions and most other insurances cover up to 18 sessions for cardiac rehabilitation. Each program is tailored toward the individual needs of the patient. 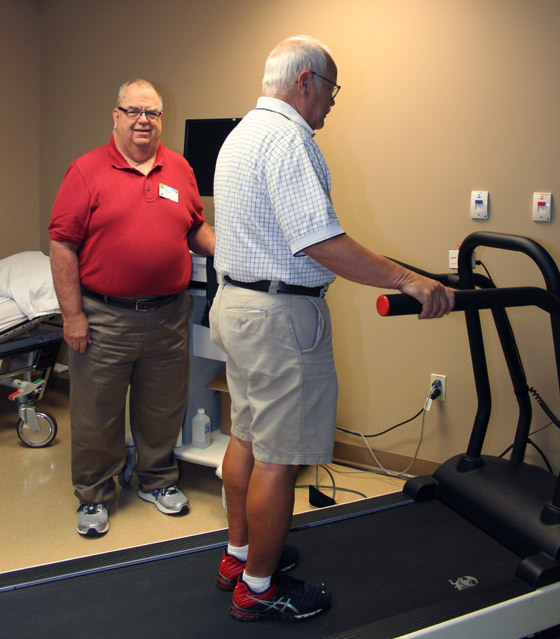 A physician will refer a patient for cardiac rehabilitation. An appointment can be made by calling Memorial Hospital at (785) 263-2100 and asking to speak with the Respiratory Care department at extension 6174. Cardiac nuclear stress testing evaluates the heart and vascular system during exercise. This test can help detect underlying heart disease, which is only apparent when the heart is stressed by exercise. It can also help determine how severe the heart disease is. A radioisotope is injected prior to and during exercise to provide a definitive diagnosis. A practitioner will refer a patient for a stress test. Make an appointment for a cardiac stress test by calling Memorial Hospital Central Scheduling at (785) 263-6660. This test evaluates the lungs’ functions, such as the volume and rapidity of air moving in and out of the lungs. This test generally detects obstructive and restrictive breathing abnormalities. It can be performed with or without bronchial dilation. A practitioner will refer a patient for pulmonary function testing. Make an appointment by calling Memorial Hospital Central Scheduling at (785) 263-6660. 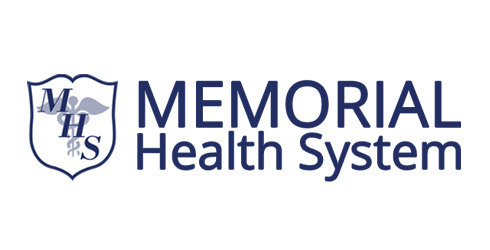 Memorial Hospital Respiratory Care offers oximetry for those who may have issues such as sleep apnea or COPD who may require home oxygen or a CPAP. Oximetry is either performed at Memorial Hospital or at home overnight. Those who need to monitor breathing overnight will use an oximeter that looks similar to a wrist watch and is easy to use. A practitioner will refer a patient for oximetry. Make an appointment by calling Memorial Hospital Central Scheduling at (785) 263-6660. Homecare allows oxygen, respiratory, and ventilation therapies to be performed in the patient’s home. 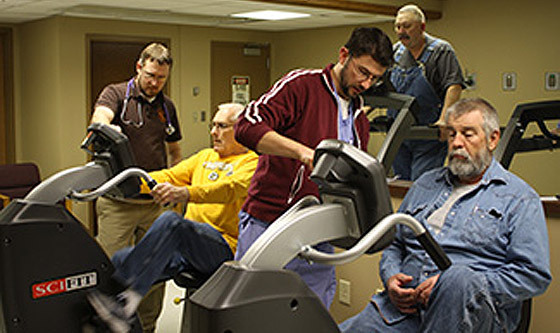 The Respiratory Care department helps patients obtain equipment, teaches them how the treatment should be performed, and shows them how to take care of the machines. A practitioner will refer a patient for respiratory homecare. Make an appointment by calling Memorial Hospital Central Scheduling at (785) 263-6660. 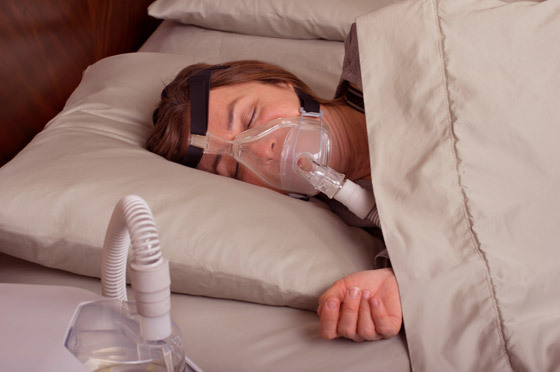 The Memorial Hospital Respiratory Care Department offers sleep study services locally for individuals who struggle with getting restful sleep. Symptoms of sleep apnea include waking up feeling tired and feeling sleepy during the day. A good night’s sleep doesn’t have to be something you can only wish for. If you usually wake up feeling tired or are often sleepy during the day, you may benefit from a sleep study. A sleep study consists of a number of medical tests performed at the same time during sleep. The tests measure specific sleep characteristics and help to diagnose sleep disorders. Other tests – An electrocardiogram (ECG) may be used to capture electrical activity of the heart. Video recordings may also be part of the procedure. Sleep studies generally take place in a sleep lab during a person’s normal sleeping hours. The goal is to record brain and body activity that occurs during sleep so that sleep disorders can be diagnosed and treated. Doctors trained in sleep medicine evaluate test results to determine a course of action and resolve sleep related issues. A trained sleep technician will be with you in the sleep lab during the testing period. For more information about sleep study services, call the Memorial Hospital Respiratory Care Department at (785) 263-6669. Would you like more information about Memorial Health System’s Respiratory Care, Cardiac Rehab, and Sleep Studies? Call (785) 263-6660 to schedule a test.